Only the portico remain of a mansion built for Sir Isaac Holden (1807-97), inventor and mill owner. The portico is now one of the features, along with grottoes, in a public park. The rustic summerhouse is in what was Sir Isaac Holden's garden. 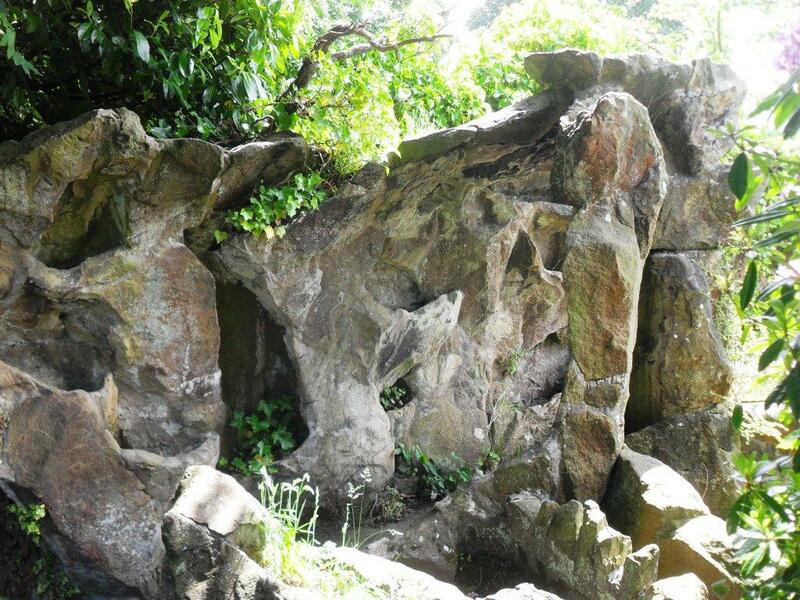 The grottoes, in what was Sir Isaac Holden's Garden, were constructed between 1864 and 1874 by the Paris firm of Aucante, using iron-reinforced concrete known as the 'Systeme Monier'.